We, the undersigned healthcare workers in the UK, extend our solidarity and support for the peaceful Sudanese protesters; led and organised by the Sudan Professionals Association and alliances, with Sudanese doctors on the frontline. We call on the UK government to urge President Omar al-Bashir and his regime to end its brutal use of force in the face of these protests, including shoot-to-kill tactics and a continued assault on healthcare workers. The UK’s Department for International Development provides £65 million to the Sudanese government. It must ensure public funds from the UK are not used to further conflict, but to fulfill the provision of universal healthcare and accessible public services for the Sudanese people. The UK has a long history with Sudan through a presence in the country since the late 1800s, and it must now take responsibility to help bring peace and security in the region through supporting a peaceful handover of power and a transitional government to emerge. The protests began in December 2018 in response to the near 70 percent increase in inflation, leading to rising fuel and food costs such as the tripling price of bread. However, the causes of the protests extend beyond these most recent economic concerns, morphing into frustrations against President Bashir’s 30-year rule. The Sudan Doctors’ Union notes that over the years, public services, and in particular the health system, have collapsed as a result of chronic underfunding and a move towards rapid privatisation. They note that the devaluation of the Sudanese pound and an active attempt to dismantle public infrastructure have resulted in a lack of medical supplies, stark increases in the cost of lifesaving medicines and unsustainable working conditions. 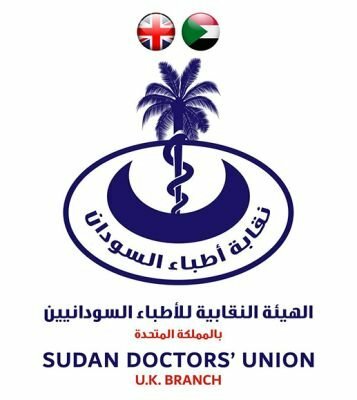 Healthcare workers and particularly members of the Sudan Doctors’ Union have been targeted for arrest due to the union and other professional bodies’ key involvement in the protests. Among doctors arrested and detained are Dr. Ahmed El Sheikh, the general secretary of the SDU, Dr. Najib Najmeldin, Dr. Ihsan Fegeiri, a senior member of the union’s executive committee and prominent women’s rights activist, Dr. Amal Jabrallah, a senior psychiatrist, Dr. Sayed El Khateeb, Dr. Howeida El Hasan, Dr. Adiba El Sayed and Dr. Mohamed Nagi Al-Asm, a spokesperson for the Sudanese Professionals Association. After Dr. El Fatih Omar – another member of the union’s executive committee and general manager of the El Tuga private hospital in Omdurman – announced the hospital’s commitment to treat injured protesters free of charge, he too was arrested. Intervene to ensure the release of peaceful protesters, including the aforementioned medical professionals currently in detention.